Encyclopedist on the "Encyclopédie". 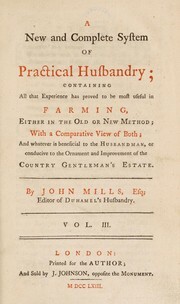 Mills was originally a writer on agricultural matters from England. 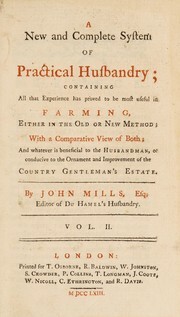 An essay on the management of bees. 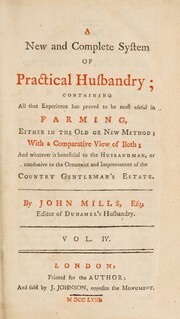 Wherein is shewn the method of rearing those useful insects; and that the practice of saving their lives when their honey and wax are taken from them was known to the antients, ... By John Mills, ..
A treatise on cattle : shewing the most approved methods of breeding, rearing, and fitting for use, horses, asses, mules, horned cattle, sheep, goats, and swine ; with directions for the proper treatment of ... disorders ..
A treatise on cattle : showing the most approved methods of breeding, rearing and fitting for use, asses, mules, horned cattle, sheep, goats, and swine. With directions for the proper treatment of them in their ... disorders ..
Are you sure you want to remove John Mills from your list?